Life has been busy and somewhat complicated especially now that I am so close to leave on my 2,000 Km pilgrimage to Rome on the 30th of June. Yet, as part of my training I’ve been trying to ride my bike as much as my free time allows and this week I rode all the way from Bracknell to Camberley through the Swinley Forest. On my way back, the weather was so nice I decided to ride the entire length of the RED trail as this was the one I did not record when I posted my first Swinley Forest MTB Trails post back in August 2015. I’ve been wanting to record this trail since then, which is much more technically challenging than the BLUE one. First time with a GoPRO Chest Strap… Feeling a bit like a fool. I have also tried something new… a GoPRO chest strap mount. I’ve seen quite a few riders using it and always wanted to give it a try. I don’t think it is something I will be using often as I found it to be a bit uncomfortable, but it is always an option. I found that is does help reducing the shakiness of the picture, however, the RED trail was not a good place to test it properly as the trail is really bumpy. A 59 min long full length video of the entire trail with my voice commentary only i.e. no music, no video acceleration where you can, hopefully, see the entire trail in detail. A 10min 51sec, accelerated video (6x normal speed) with some nice music, but quite difficult to watch at places because there is only so much shaking that video stabilization can deal with. If you don’t have time (or patience) to watch the full length video, this may be an option. You may also want to watch the shorter, accelerated version first and then focus only on the parts you find more interesting on the full length video (tip: if you are watching the accelerated video at 3 min and want to see that part in greater detail, just multiple by 6 and jump to the full length video at around 18 min). Always good to have options, isn’t it? Length / Distance: 11 Km or 6.83 miles (In the information totem pole, the length given is 13 Km / 8 miles, but there were several diversions in place). Time: According to my Garmin, 59 min in total or 53 min of moving time. If you like this post please rate it in the starts below and share it in social media. 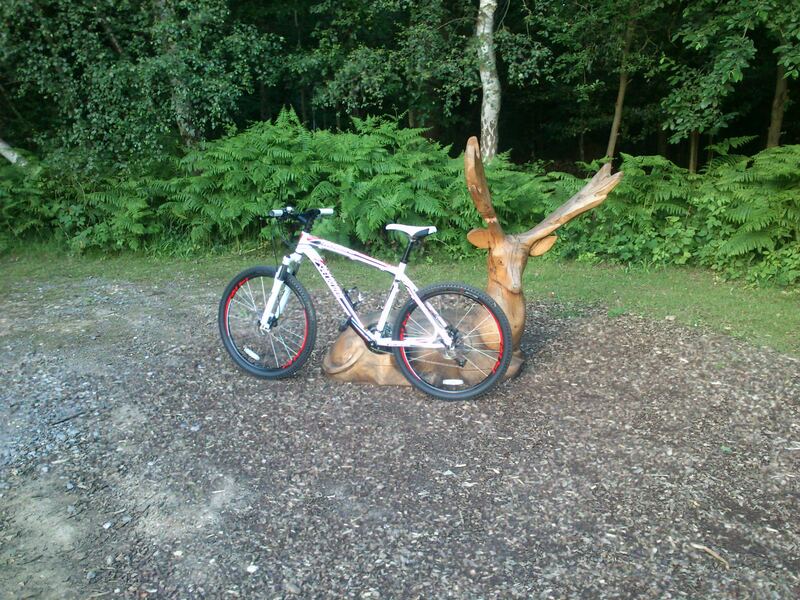 This is the GPX file of the RED MTB trail in the Swinley Forest, Bracknell. I don´t know about the newest cassette, gear, breaks or groupset technologies and about the quality of the various brands in the market (e.g. . I ride bikes, but don´t know much about them other than the known brands in the market with which we often associate quality. Specialized is one of such brands. So allow me to go back to “B4” and to digress a little… I´ve lived for 2 periods of my life in the UK. Back in the 90s I lived for 7 years here, then I left in 1999 and came back in 2006. 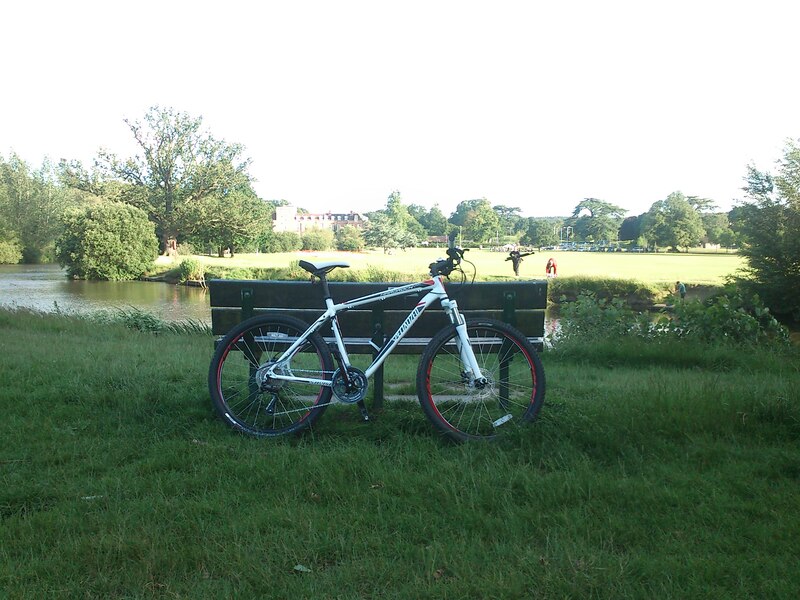 When I came back the first thing I bought to myself was a £60 bicycle in a Sports Direct shop in Reading (I think). Rode it a few times and then didn´t use for years (or only very occasionally). Prior that that bike I had many more and I often rode a bicycle to the Uni / work back in the 80s. The Specialized Hard Rock Disc, however, was my first “quality” bike. I know quality is something relative and when it comes to bicycles you can easily find premium bikes at the price of a small family car. 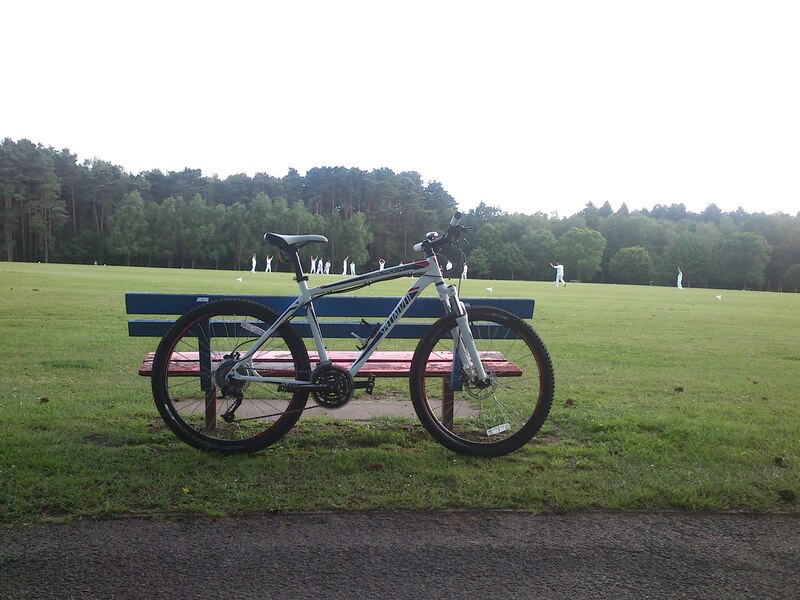 In comparison to the £60 bike from Sports Direct it was the best bike I ever had up to that point in life. Even better, it came as a Father´s day gift from the mother of my children. I must confess, I ride bikes, but don´t know much about them. There are known brands in the market with which we often associate quality. Specialized is one of such brands. The rapid fire triggers was something I hadn´t experience in a bicycle before and the precision to which the gears changed was impressive. I don´t think I would have progressed in cycling as I did if it wasn´t for this gift from my family. The pictures I used in this post with of my first ride on June 2012. A route of just under 20 Km (12 miles), I think. It was with this Bike that I did my first long distance ride from London to Brighton for the British Heart Foundation on June 2013, exactly 1 year after I got it. 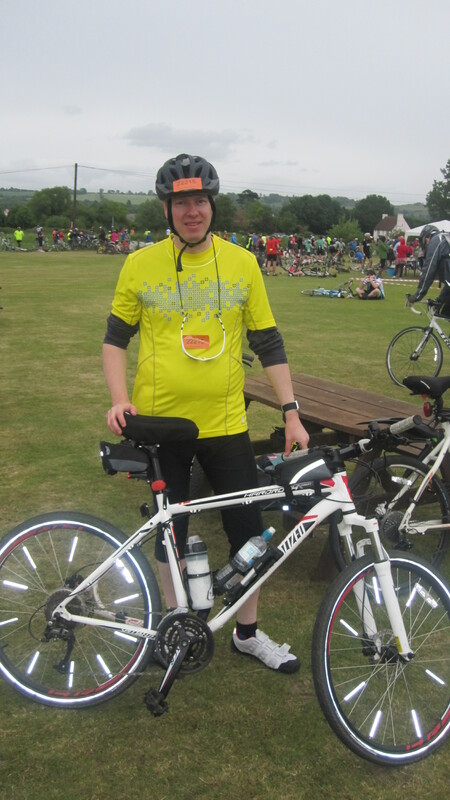 Me and my bike at the London to Brighton bike ride organized by the British Heart Foundation. I kept my old £60 bike for many years after receiving the Hard Rock and it was on that bike I mounted the kangaroo seat I used to ride with my younger son, then a Toddler. After he outgrew the seat it was time to also part from the bike and I sold both (bike and seat) to a nice lady that came to collect it at the Bracknell train station with her baby attached to her back. 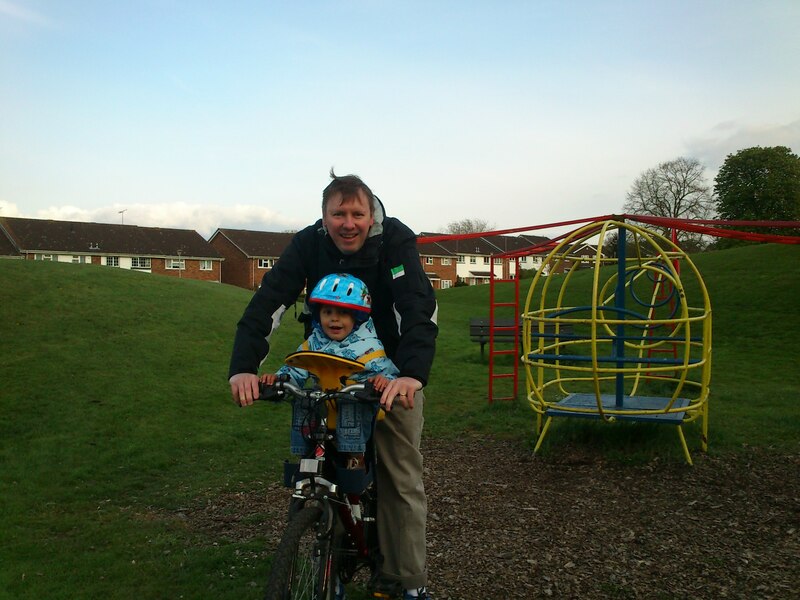 My old £60 bike with me and my little boy on the Wee Ride Kangaroo Seat. 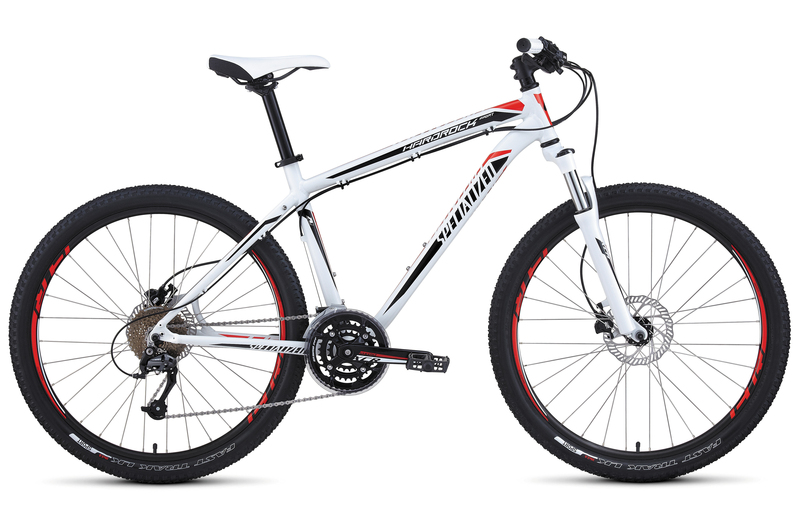 If you are thinking of getting a new bike in the price range of £400 to £500 and want a mountain bike? Totally recommend this one. It hasn´t given me any trouble in years and the day I decide to part from it will be a sad day for me for many reasons.